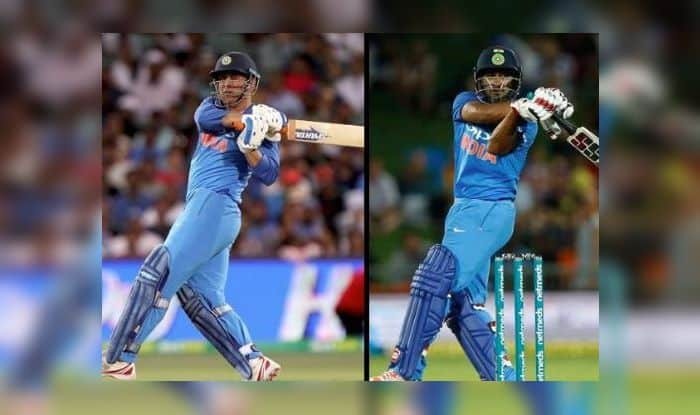 1st ODI India vs New Zealand: India's top-order batsman Ambati Rayadu surpassed former India skipper and current India captain Virat Kohli to claim highest batting average in successful chases. 1st ODI India vs New Zealand: India’s top-order batsman Ambati Rayadu surpassed former India skipper and current India captain Virat Kohli to claim highest batting average in successful chases. Kohli is known as the chase master and Dhoni the finisher, hence it is quite surprising for fans to find Rayadu at the top of the tree. Rayadu, who was roped into the side in place of Dinesh Karthik remained unbeaten on 13 off 23 balls to take India over the line in the 1st ODI at Napier. By doing so, Rayudu became the batsman with the highest average in successful run-chases (103.33), ahead of MS Dhoni (103.07) and Virat Kohli (96.94). Russel Arnold (91.00) and Michael Bevan (86.25) complete the top 5. Meanwhile, India produced cricket of the calibre that has become synonymous with Virat Kohli’s men to crush New Zealand in the first ODI but a bizarre and unprecedented sun-induced interruption overshadowed the on-field action on Wednesday. India signaled their intent with a clinical display, which saw them chase down a revised target of 156 by eights wickets in 34.5 overs. The Duckworth-Lewis method came into the picture for an interruption which was not caused by rain for the first time. On a near-perfect day, the only thing that didn’t go their way was the toss. But India made light of that by bowling out the home team for a paltry 157 in 38 overs. Wrist spinner Kuldeep Yadav was the most successful bowler, returning figures of 4/39 in 10 overs, while seamer Mohammed Shami finished with an excellent 3/19 in six overs. There were also two wickets for leg-spinner Yuzvendra Chahal.